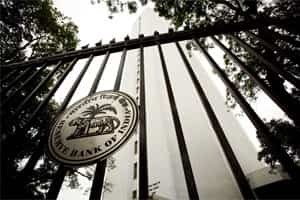 The bank’s customer care executive on the other side of the phone line may not be too cooperative and the Reserve Bank of India (RBI) website may be an information overdose. Then how do you find a small and specific information that you urgently need to know? Well, RBI has a website especially dedicated to the common man and this can be of help. RBI has a website, calledhttp://www.rbi.org.in/commonman/English/Scripts/Home.aspx, for the common man. The central bank’s website offers information on various topics in an easy to understand language. The thought behind the website is to reach out to the people and disseminate information regarding various banking-related activities. Also, if you are someone who is looking for an authorized dealer of foreign currency or a money changer and not sure if you’ve approached the right party, this website solves your problem by providing a list of such entities. That’s not all, it also provides a list of entities whose licences have been cancelled. The website offers elaborate answers to frequently answered questions on various topics related to banking, foreign exchange, government securities, non-banking finance companies and various payment systems. Apart from getting information on various topics, you can also use the website to lodge complaints against banks or non-banking finance companies regarding deficiency in service and other related issues. If you have a grievance against any RBI department or office, you can file a complaint through the website. The website has games related to money matters which can be used to impart financial education to your kids as well.